Observation - Greylag goose - UK and Ireland. Description: A medium sized goose with white patch on face, orange beak and legs. 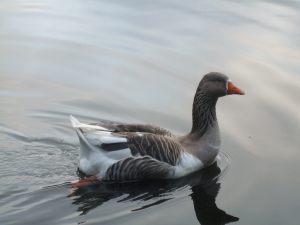 A medium sized goose with white patch on face, orange beak and legs.